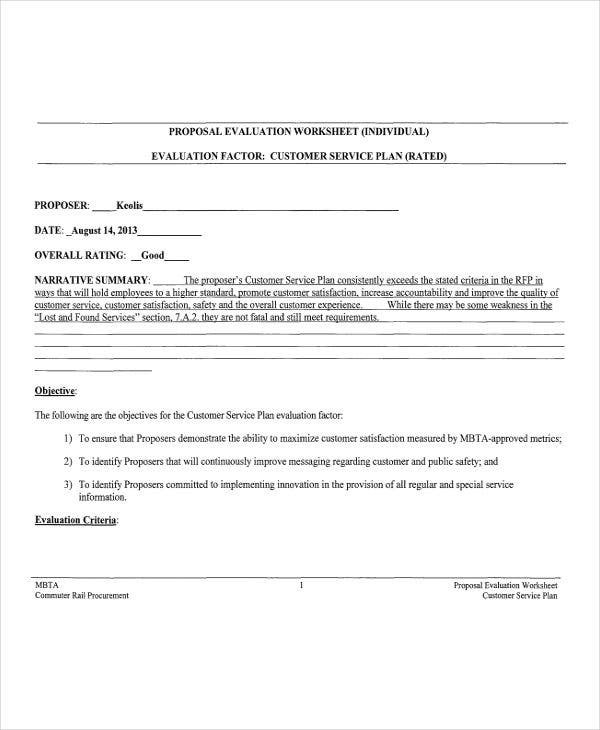 A customer service proposal is a document that provides all the details that need to be executed to provide exemplary customer service to their clients. There are different kinds of customer service proposals created based on the entity who will use it, the industry where it will be used, the client business proposal involved in specific customer service transactions, and its purpose. 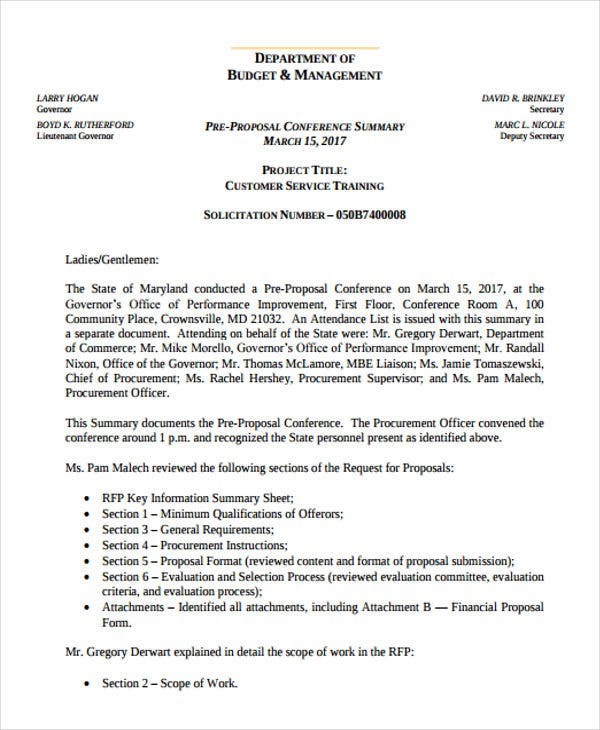 Any entity who would like to have this document can request for a proposal to any businesses that provides this particular kind of professional service. In line with this, our curated documents can help you have ready-made documents that can serve as your references in creating the service proposal that you need. 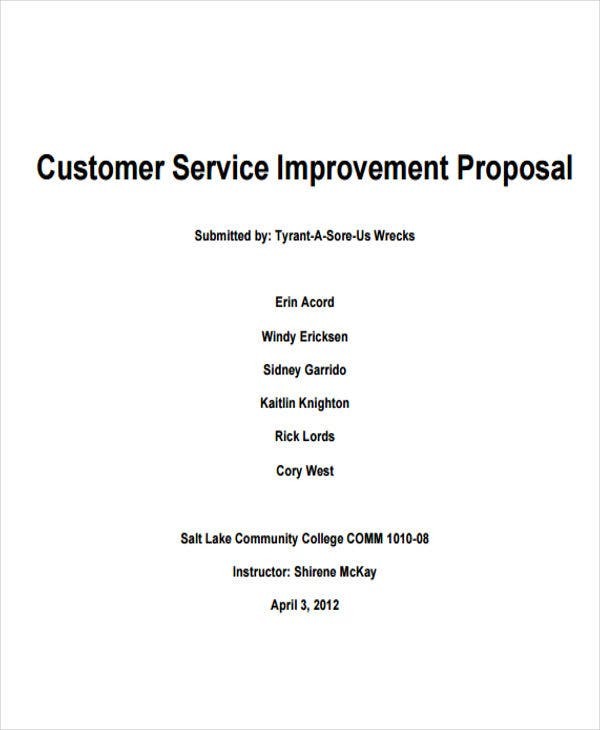 Identify the reason you need to create a customer service proposal. As a kind of business proposal should you create this document for another entity’s usage, you need to make sure that the items within this document is centered in achieving a common goal. Assess the current condition of the customer service operations of the business. 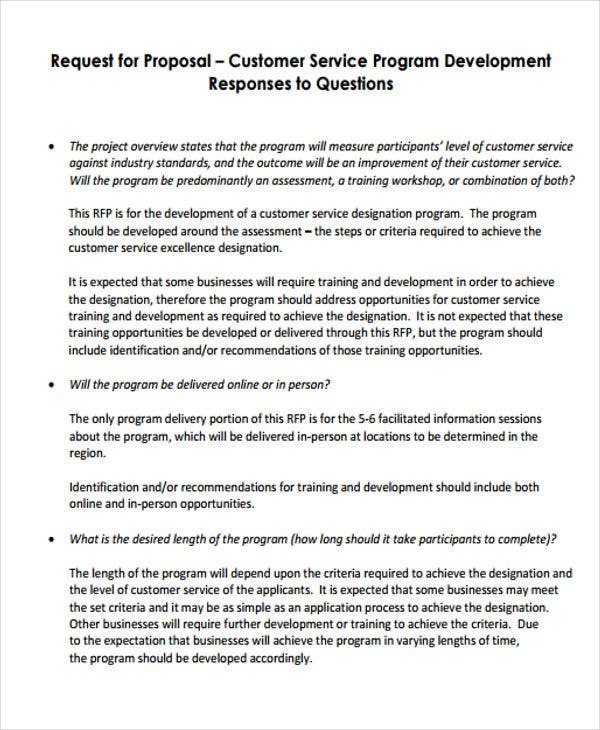 You can create a training proposal if you think that the people involved in implementation of the customer service proposal needs to be trained accordingly. List down areas of opportunities so that the business can develop the services that it provides to its clients. You can also submit a cost proposal if a budget needs to be allocated for the execution of the customer service proposal. Identify the threats that can hinder the customer service proposal from taking effect. Assure that you will consider the content of the sales proposal for the operational year it will be implemented as well. This is to make sure that plans for improvement of the customer service will not affect the sales programs and plans of the sales department. 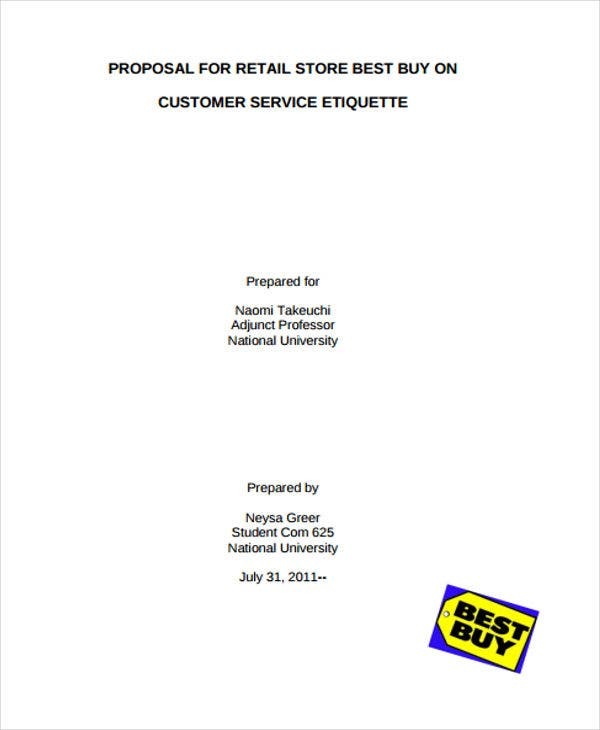 Let the management of the business review the customer service proposal either for revisions or full implementation. If you think that the services of the business is the cause of the unsatisfactory ratings of the clients regarding the business operations, you can create a service proposal that can directly cater to the improvements that the customers would like to see. Make sure that you will consider the needs and wants of the clients in terms of the service that they expect from the business. Assess the changes that you need to implement to provide exemplary customer service to your business’ clients. Review the entirety of the customer service procedures followed by the business. Think of the things that you may change or add to improve the interaction of the clients with the employees of the company. 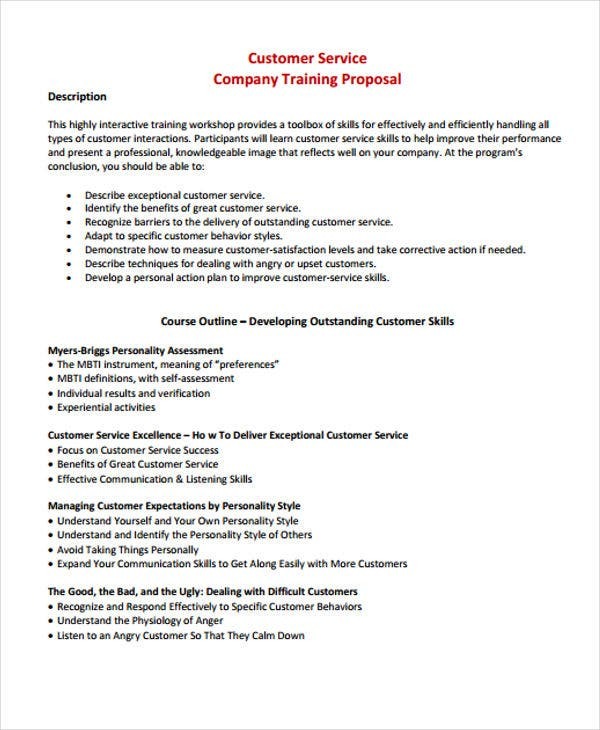 If you want to have a more in-depth assessment of the customer service operations of the business, you can create a consulting proposal and send it to professionals who can help you properly identify the things that you need to execute to improve the customer services of the company. 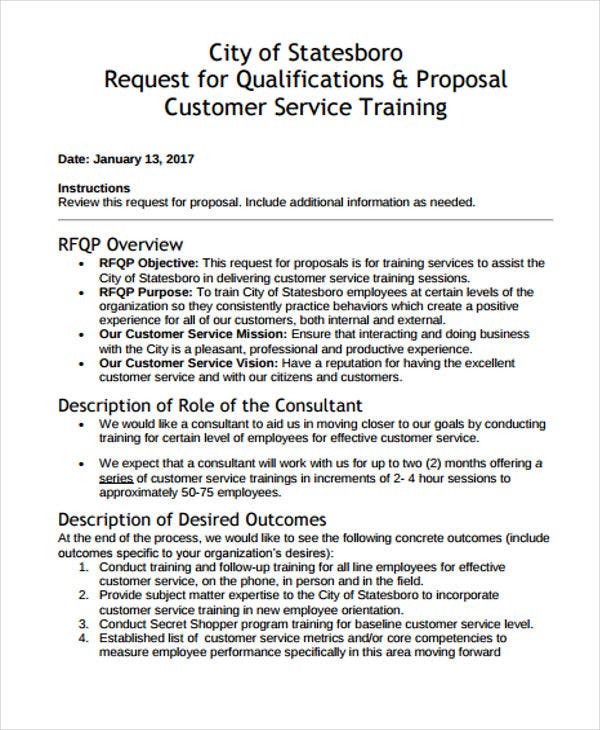 Training Proposal Template – 20+ Free Word, Excel, PDF, PPT Format Download! 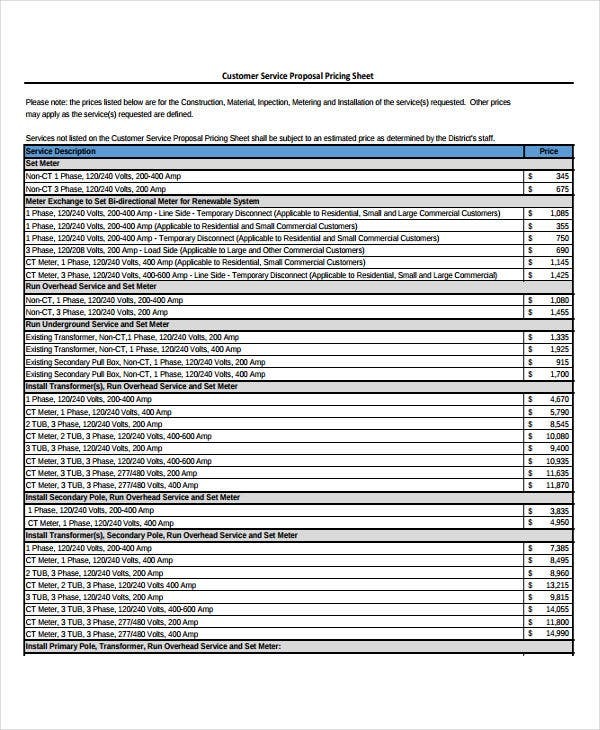 Technical Proposal Template – 18+ Free Word, Excel, PDF Format Download! Technical Proposal Templates – 21+ Free Sample, Example, Format Download!